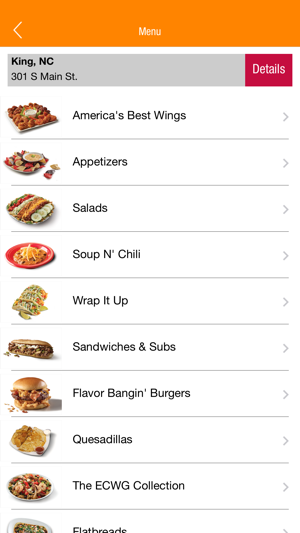 Order wings, wraps, salads, burgers and more. 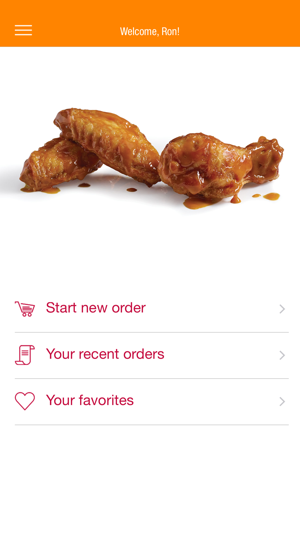 Find your nearest participating East Coast Wings & Grill location as well as save favorite orders, schedule your pick up and place group orders perfect for office and large family ordering. 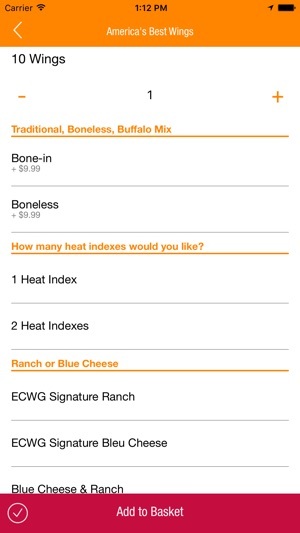 Enhancements to the ordering experience. 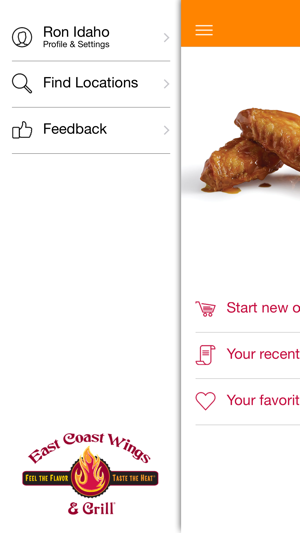 I gets wing severy Monday night and this app makes it easy. I just wish it had Touch ID login just because the app will save your credit card and orders but I just worry if someone gets your phone they'll can order on your card. Other than that, it's an awesome app! If you only want to place order, maybe it’s fine, but anything else- forget it. I can’t even see what rewards I have on my card, I only know because i get email. I wish you change it where you can view your whole profile including point and rewards. But for now, to me it’s useless since I don’t order online. Thanks for helping me skip the line. Awesome work and wing and stuff!!! !